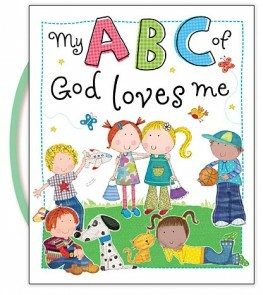 My ABC of God Loves me is a small board book with a handle for little ones to carry around and always have near by. A first Bible experience for them in knowing there are ways God loves them all throughout the alphabet. Lara Ede does a beautiful job in illustrating this book geared for ages 1-7. The pictures are detailed and each one is fun to look over and see what the children are doing. I love how God's character is shown throughout the book, and teaches youngsters right away the goodness of the Lord. What is one of your favorite characteristics of God? That we can't even fathom how much He loves us! One of God's greatest characteristics (they are all great) is love and forgiveness.